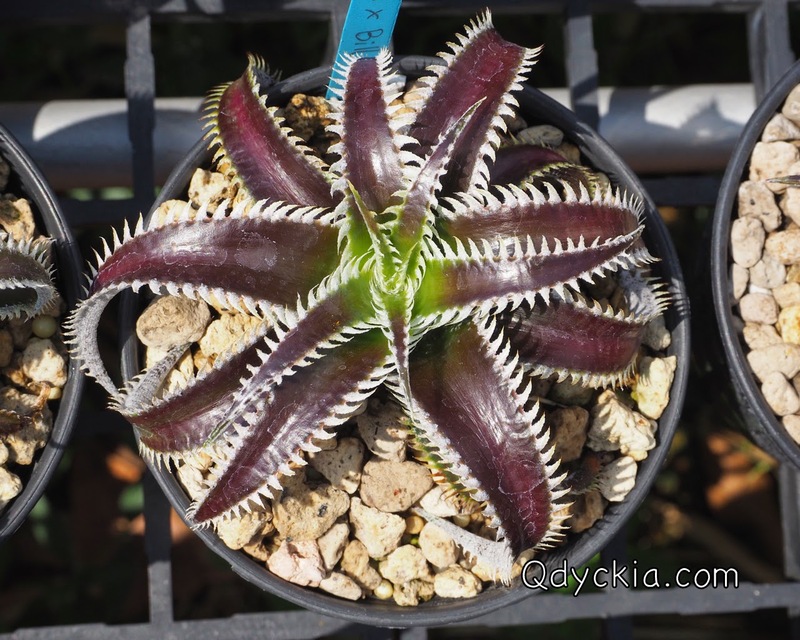 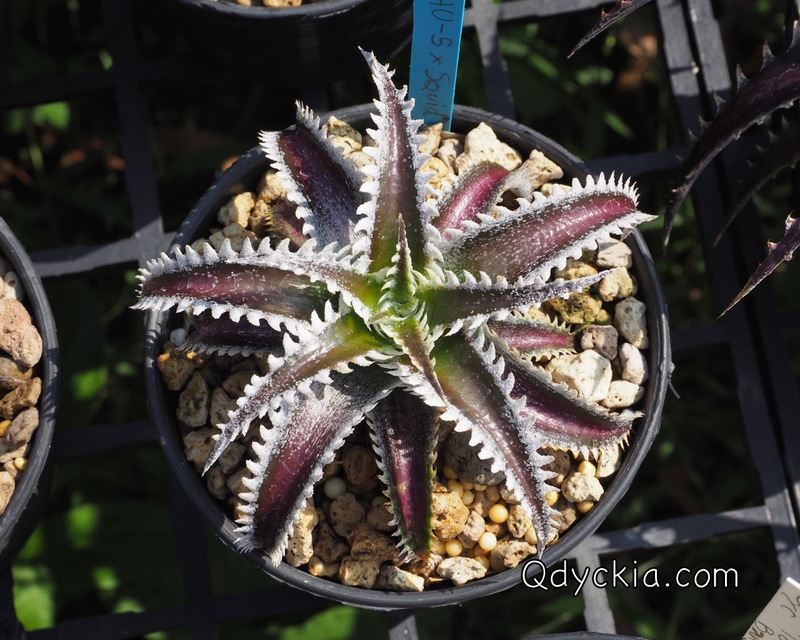 Dyckia HU-5 X Bill Baker, red clear leaf with white nice teeth. 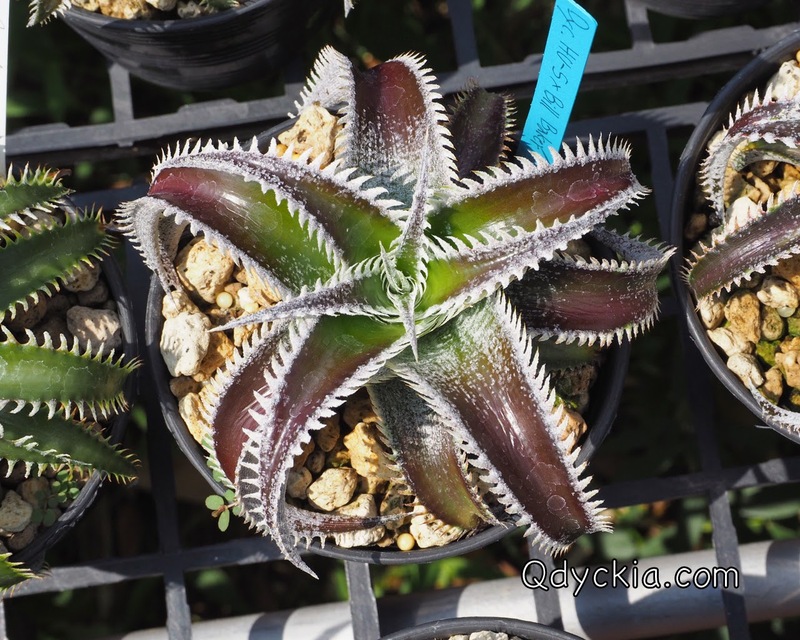 Dyckia HU-5 X Bill Baker, green leaf with a little bit trichome. 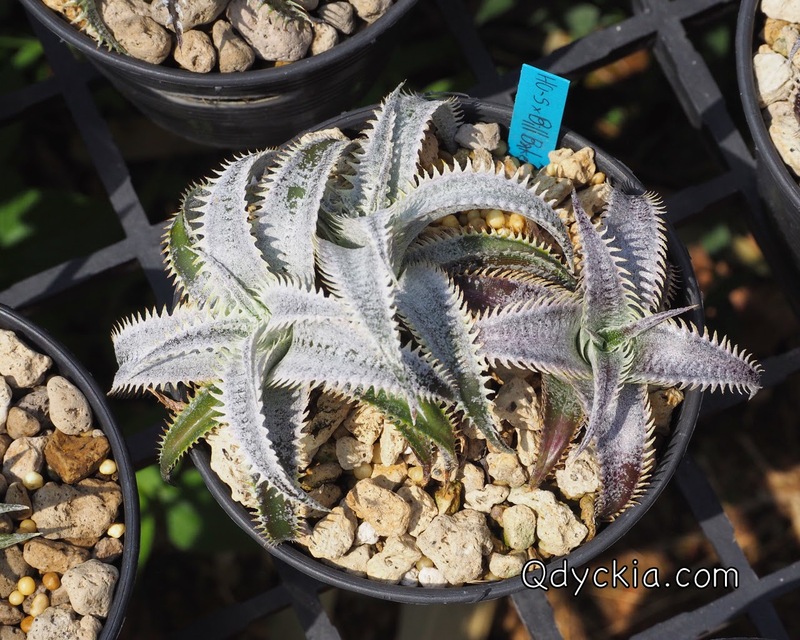 Dyckia HU-5 X Bill Baker, small from with nice spines and perfect trichome. 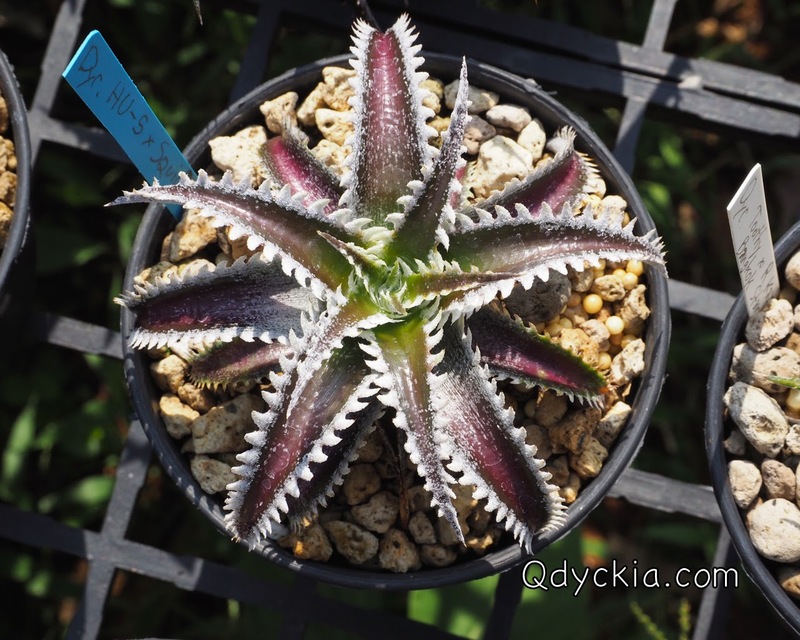 Dyckia HU-5 X Bill Baker, dark red leaf with perfect trichome. 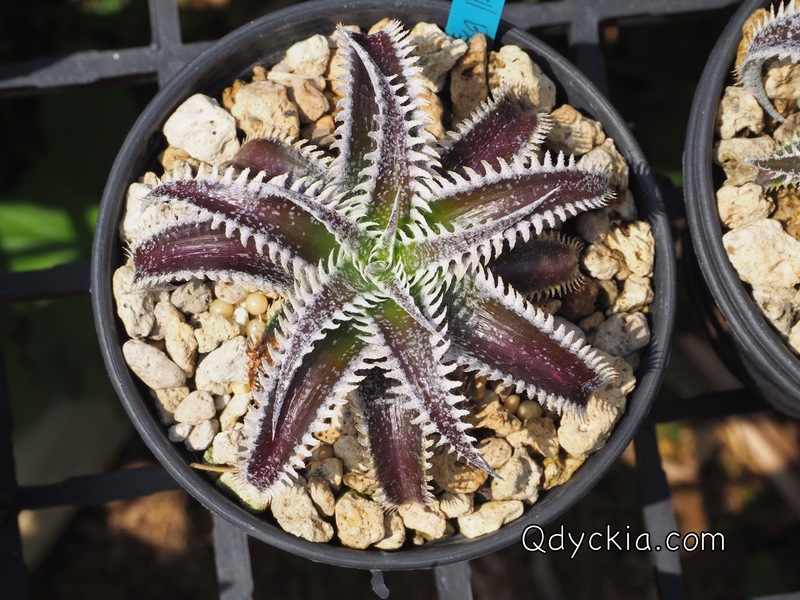 Dyckia HU-5 X Bill Baker, twin pack but both are nice. 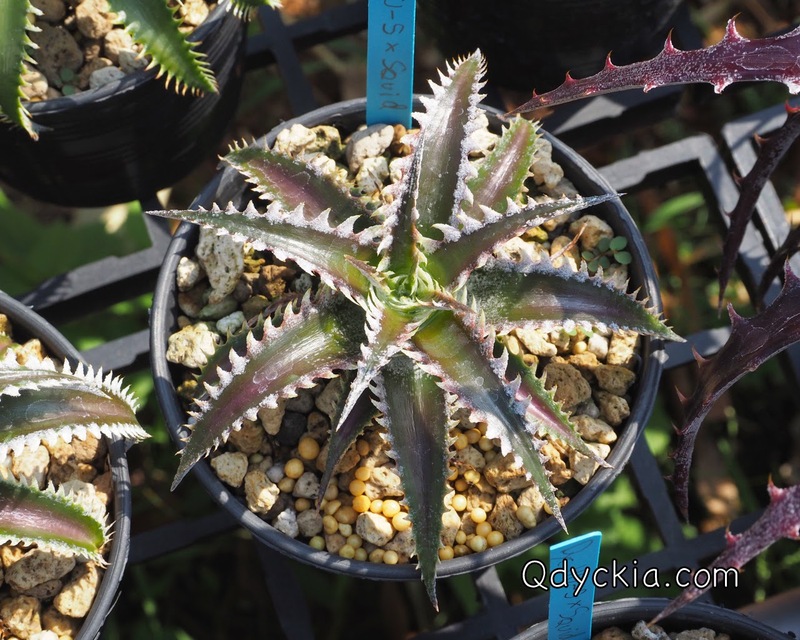 Dyckia HU-5 X Bill Baker, right hand side will go to Japan soon. 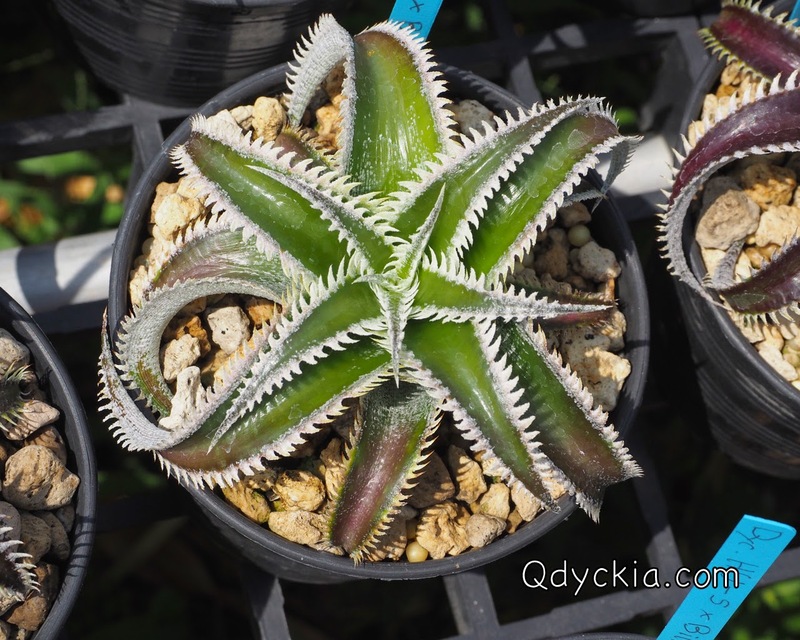 Dyckia HU-5 X Squid, Very nice spines. 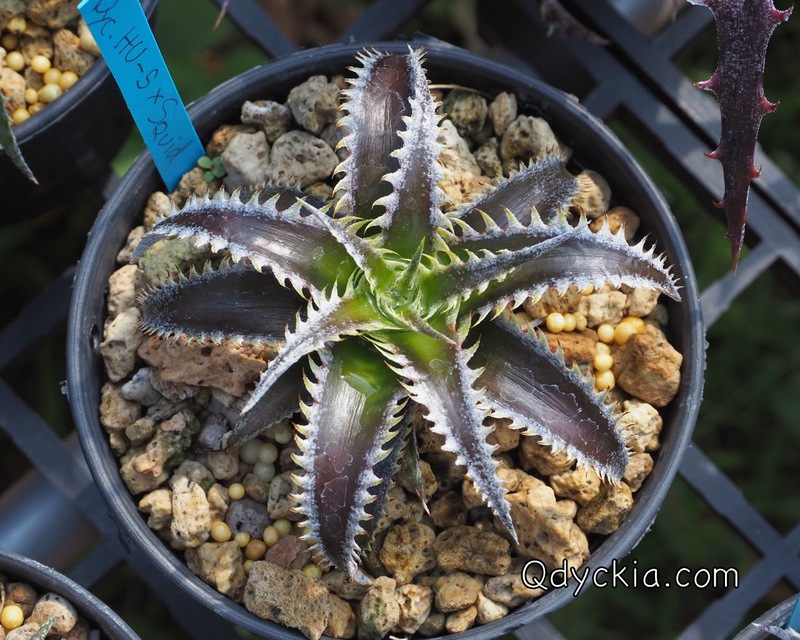 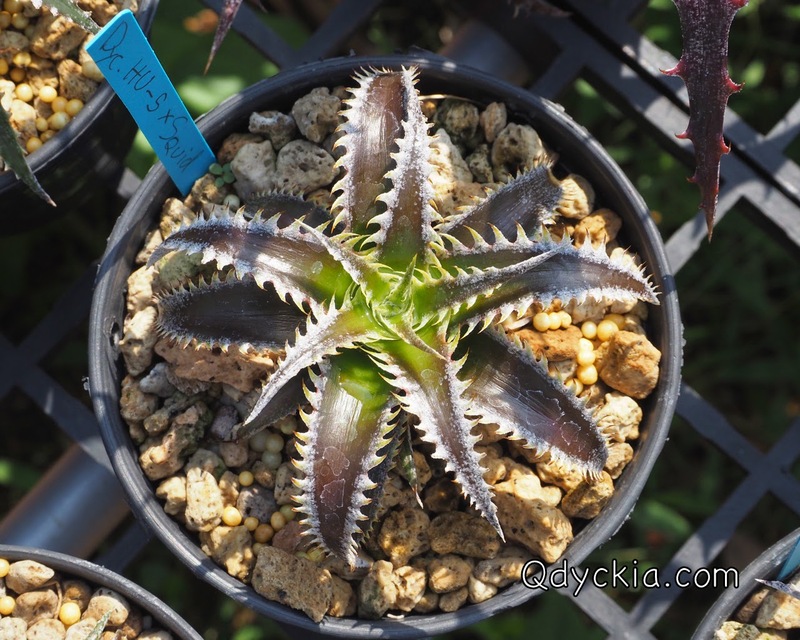 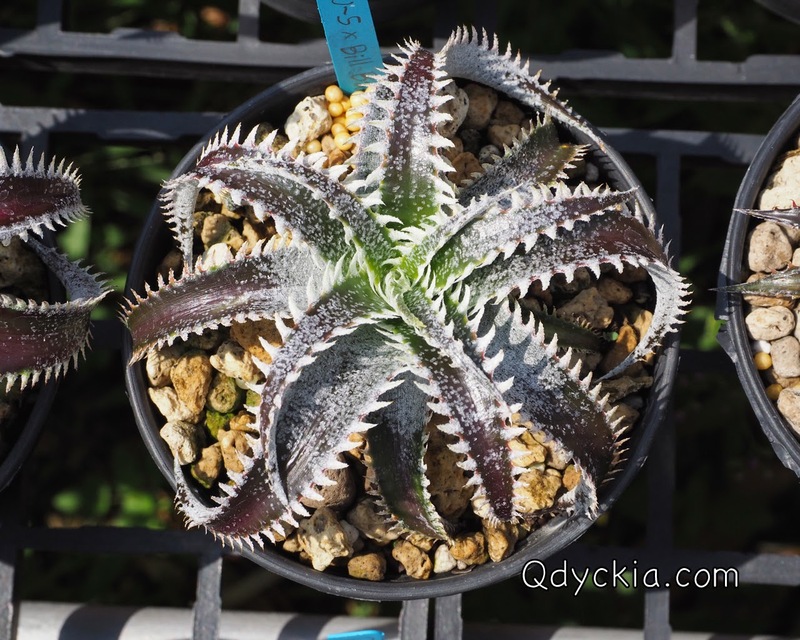 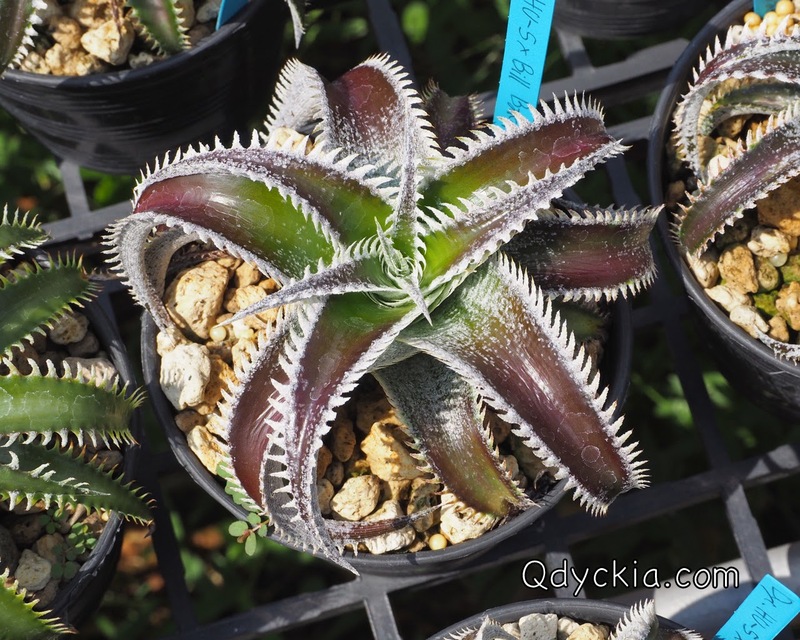 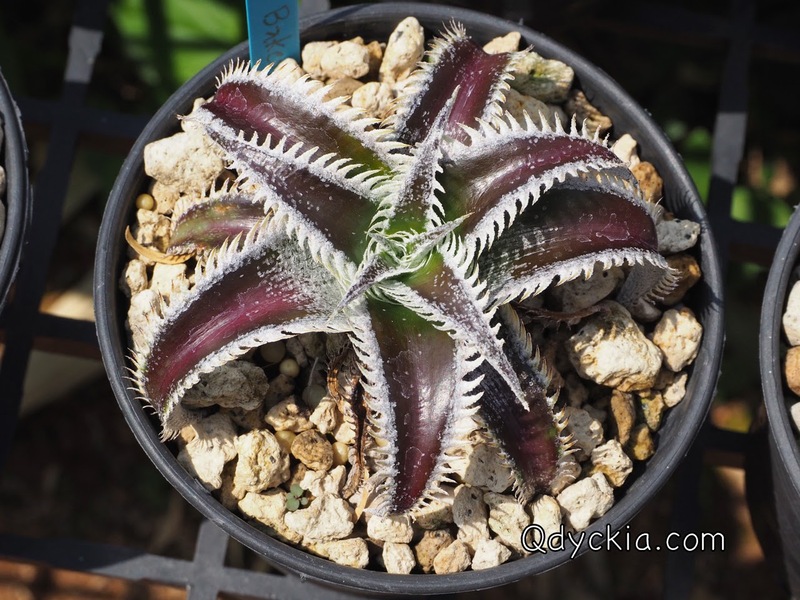 Dyckia HU-5 X Squid, seem to be big white teeth. 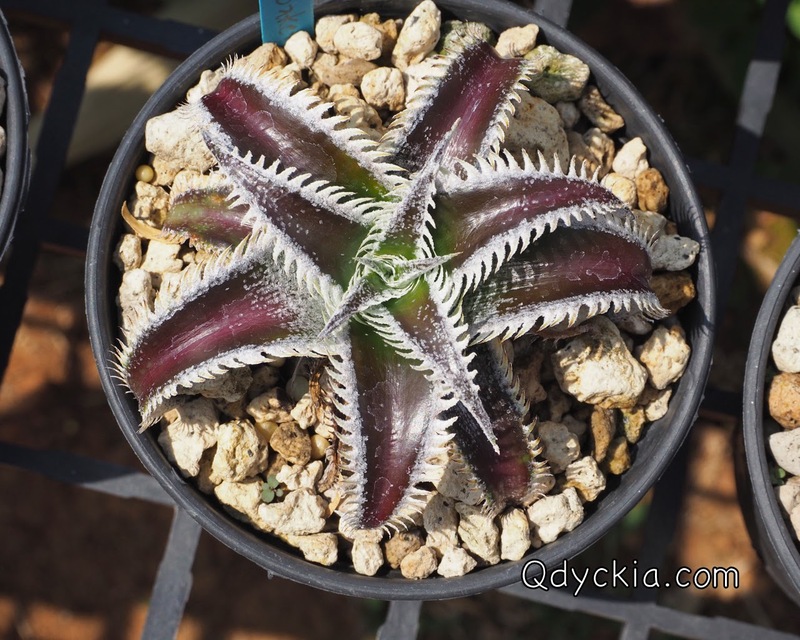 Dyckia HU-5 X Squid, perfect white spines. 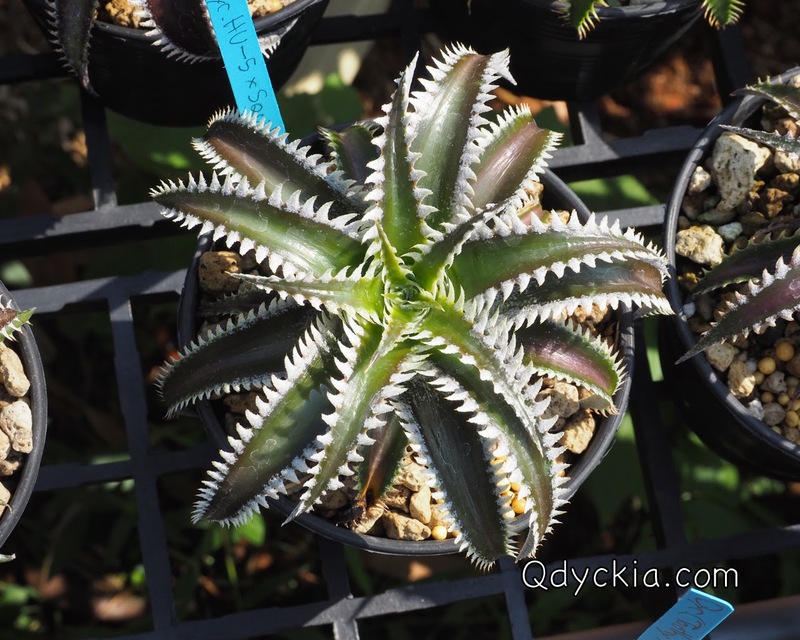 Take a closely look one more time. 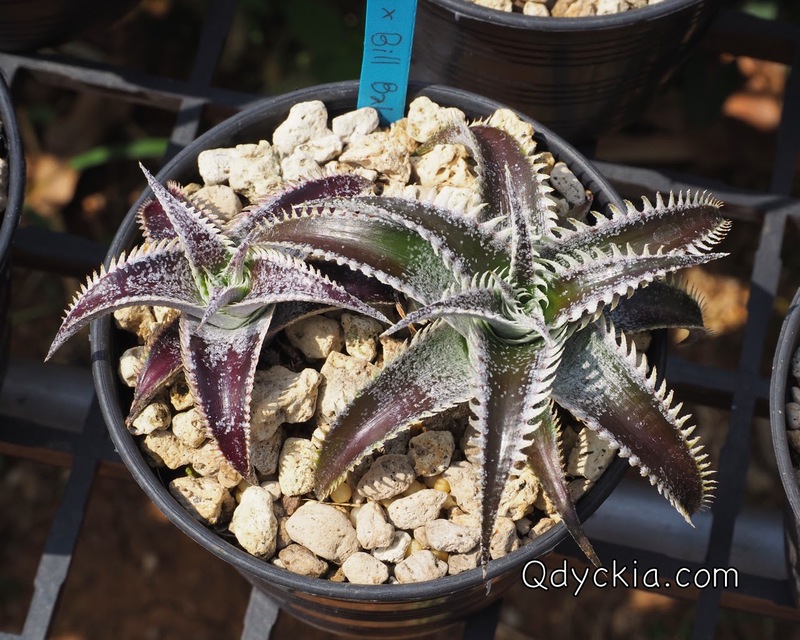 I think you are the most skillful dyckia breeder in Thailand or in the world after the late Bill Baker.Dickia lovers in Thailand are proud of you.